Hello! 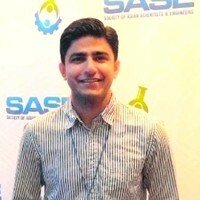 I'm Faisal, and I'm passionate about building great products and solving complex problems with engineering intensive solutions. I completed my undergrad with a B.E. in electrical engineering from The City University of New York. After undergrad, I joined Booz Allen Hamilton as Cybersecurity Engineer - Consultant to support a Fortune 100 client in the wake of a massive ransomeware attack. While I am originally trained as an electrical engineer, I have traversed the technology stack from transistor to large scale web applications. In my spare time, I enjoy programming for the web and read RFCs to learn the fundamentals of internet protocols to identify security vulnerabilities. I am also interested in next generation wireless networks and machine-to-machine communication protocols. I am currently learning cloud computing at Amazon Web Services (AWS), and spend time doing cybersecurity stuff as NY Cyber Fellow at NYU.